We’re happy to announce that we’ve just been awarded the contract to staff the Oakham open air swimming facility in Rutland throughout the summer. We’re recruiting hard for NPLQ qualified Lifeguards in the area so if you’re looking for a fun and unique working environment this summer, get in touch today! NPLQ courses also now available in the Rutland area at discounted rates. For more info, drop us a line. Being a top specialist recruitment consultancy for the UK leisure industry, we have a privileged insight into industry developments. They type of staff that leisure companies need right now can tell us a lot about how the leisure industry is shaping up. We can tell what leisure and fitness trends are going to be popular and which will be falling out of fashion simply by the ebbs and flows of demand for industry professionals. What leisure jobs are popular right now according to our 4LeisureRecruitment barometer? Swimming, for fitness or pleasure, has always been popular and this probably isn’t going to change for a long time. Lifeguards are needed by leisure centres (both private and public-sector), holiday parks, day spas, beaches, and more. They are essential to any pool’s operation and have to be properly trained and qualified. They are not the best paid of leisure staff, but being a lifeguard is an excellent way of gaining experience in the leisure sector, and getting your foot on that all-important career ladder. Many managers in the leisure industry started out as lifeguards, often with it just being a part-time or holiday job. Currently, we have a high demand for specialist leisure sales staff, mainly in the fitness gym sector, and in golf membership. The business models of gyms especially are undergoing radical changes, and membership packages are changing too. The industry is getting more competitive and it needs forward-thinking sales managers who can secure revenue. If you like fitness and are good with people, then sales management is a growth area right now. With the increase in day spa custom, good beauty therapists, particularly spa therapists are in high demand, both on a permanent and temporary basis. Those with the skills and attitude to work in a top-end spa are even more sought after. If you want to know how to make the transition to a 5* spa, then please read this article from our blog. Finding managers for leisure clubs can be tricky. Club managers need to be all-rounders with an appreciation of sales, customers, staff management, finance, health & safety, and fitness trends. Leisure experience is usually a must-have, and a management qualification is useful. We currently have a few vacancies for good leisure managers, so if you’re one and looking for your next move, please get in touch. If you’re in one of these growth areas, we’d love to hear from you. You can send your CV in to us at info@4leisurerecruitment.co.uk, or give us a call on 01895 450640 and speak to one of our specialist recruiters. Meet the Team: Our Beauty Temps Specialist Charlotte. Introducing Charlotte Salaman. Charlotte busies herself by supplying temps to a wide range of luxury spas across the UK. She is a fully trained beauty therapist, and has come from a career in spa management. We asked Charlotte some questions about being a temp and how she went about getting into the beauty and spa industry. What’s it like to work as a temp? “Although I now manage temporary therapists, I have also previously been a temp myself. I loved the flexibility of temping and being given the opportunity of working in a variety of different hotels and spas. This increased my experience within a broad spectrum of environments. When I was booked in for my first beauty therapy temp job, I was nervous as to what to expect when I arrived. I wondered if I would fit in with the team, know where I needed to be, and more. I had no need to worry at all – the spas that use temporary therapists understand you are coming into a new place of work and will always try their best to make you feel like part of the team, show you round the spa and give you a chance to ask any questions, so you feel confident starting your shift. The different spa environments I was introduced to helped me to expand upon my experience and achieve a higher skill level in my beauty career. Seeing the way different spas were ran assisted me enormously when I finally worked my way up to Spa Manager, as I was able to utilize different aspects to improve the way in which I was running the spa. How does someone get into the spa industry? “There are certain qualifications that are required in order for you to be able to practice as a Beauty Therapist, so I have put together a brief guideline on how to ensure you are qualified to the right level and ensure you are able to pursue the path you are passionate about. The NVQ qualification is broken into two separate one year courses, where different theory and practical aspects of beauty therapy are covered. Level Two will include facial, hair removal, eyebrow and lash treatments (tinting and perming for example), manicures and pedicures, and health and safety within a spa environment. You will also cover the basic anatomy and physiology of the human body. You will then move into your second year of the course, which is your NVQ Level 3. This is more of an advanced course, where you will cover modules such as facial and body electrics, Swedish Massage, and a basic understanding of salon management. In order to be able to study BTEC you need to have a minimum of 6 GCSEs, which include Maths and English. It is a very similar break down to the NVQ Level 2 and 3; however BTEC is one solid two year course rather than two separate one year courses. It is also considered a higher qualification than an NVQ, as NVQs are qualifications which can be awarded by training organisations and cover a wide range of subjects – BTEC are very tightly governed qualifications in a limited amount of subjects which tend to be controlled by colleges. You also will cover additional treatments in the time you are at college that you wouldn’t be qualified in through the NVQ, such as Indian Head Massage, aromatherapy massage, spray tanning for example. Why did you get into the spa industry? “Most therapists I have asked this question to have told me it was because they loved the idea of working in an environment where they get to pamper people and make them feel beautiful. Where they get them come in to the salon or spa and leave later feeling happy and content, which is a great answer and an amazing part of the job. However the reason I decided to go into the spa industry was because I was fascinated in the more holistic side of beauty therapy. I was curious as to how muscles worked and how massage can benefit the human body in so many different ways. I always loved coming to the end of a massage on a client and seeing the relaxed state they were in simply from a treatment that sometimes may have only lasted thirty minutes. Thank you Charlotte. We shall let you get back to finding those perfect temps for spas and salons now! One of the fastest growing social networks over the last couple of years has been LinkedIn. The biggest network for professionals has huge international use and is a brilliant way of networking for business. One of the disadvantages of LinkedIn is the sheer number of people who use it. If you are using it to find a new job for example, it may take someone a long time and a lot of connections to find you. However, your personal profile is a good way for a potential employer to find out more about you. You need to make your profile sparkle! They say a picture can paint a thousand words, which is a good enough reason to use them when you’re trying to get your message across in a very short space of time. As well as text, you can fill your profile with images. Use the ‘upload a file’ button to upload images that show who you are and what you can do. Use product shots, or photos of you at work, or a screen shot of your website. Your profile picture needs to reflect the image for the job you want. Professional photos don’t have to be sterile head shots but you need to steer away from anything that can be deemed undesirable. Have a look at other people’s profile photos to get some ideas. You don’t have to hire a photographer for your photo. You can get some perfectly good quality photos with an iPhone. Quality doesn’t have to mean extra expense, though if you’re not confident, professional photos can be a very worthwhile investment. Video is a fantastic way of getting people to stay on your profile longer with minimal effort on their part. You can link from your profile to a third-party host such as YouTube. Create an introductory video. Say hello and sell yourself. Less than a minute is ideal. Again, video can be created on the devices you already own, and you can edit them if you want using free software such as Windows Movie Maker. As an alternative to a video, you can make a slide-show. Avoid Powerpoint as it doesn’t work on LinkedIn – use a third-party site like SlideShare or Prezi instead. Not many people have slide-shows on their profile, so this is a way of gaining that important edge over job-seeking rivals. Endorsements are nice but recommendations are better. They are richer and take more effort which means they are more valuable. Ask your colleagues and friends to write a recommendation for you, and you can do the same for them. If you’ve got something you’re proud of, make sure you add it to your projects section and hyperlink it. By linking your project sited elsewhere to your profile, you have optimised the chances of your prospective employer taking a good look at it and loving your work! Check your links work regularly. The best advice for getting yourself spotted on LinkedIn is to join in. Join groups connected to your area of expertise and contribute to the conversation. Active group members get their profile looked at significantly more than non-contributors, and you never know who’s lurking in there. It might be your next client or employer. Good luck! To start you off, we have a LinkedIn group for leisure recruitment chat. Please come and join in the conversation. Having worked with the renowned Sanctuary Spa in Covent Garden for several years, we were naturally sad to hear the announcement of its closure this year after 36 years in business. However, we were proud to be invited to provide support for the staff facing redundancy. Using our in-depth experience of CV writing and interview coaching, we spent the day at The Sanctuary providing one-to-one advice to a wide range of staff to help them progress their careers and move on to pastures new. We were fortunate to find that the staff possess great work ethics and are some of the strongest we’ve come across in the spa sector. Potential employers will do well to pick them up! We’re working with a couple of key businesses in the spa sector who have expressed an interest in recruiting hard-working, service driven professionals and, on the basis of what we’ve seen, there will be some great matches that will benefit both businesses and candidates. We wish The Sanctuary Spa staff all the very best for the future. 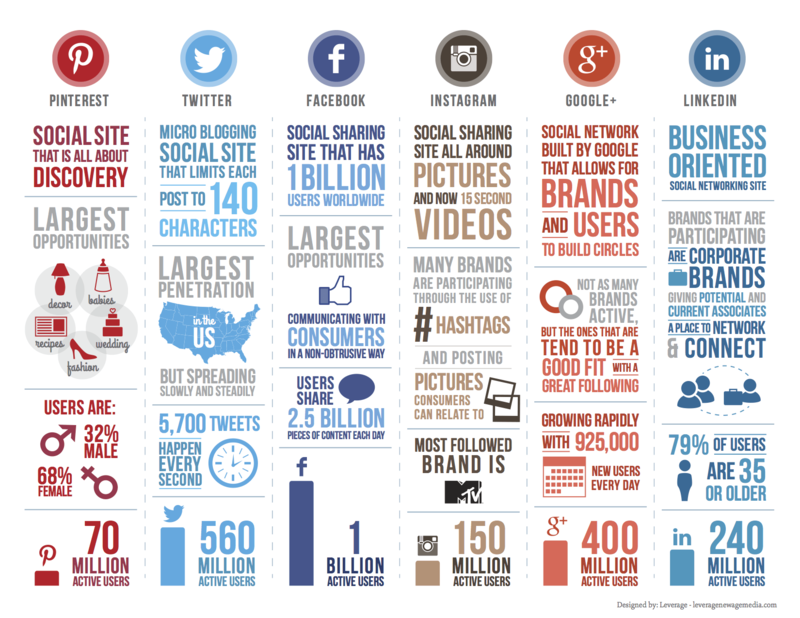 There’s no doubt that social media has been a huge phenomenon over the last few years. Since the days of MySpace and various rivals in the 2000s, all sorts of people have been finding their favourite platforms to socialise and network online. As a specialist recruitment agency we understand that social media can be both a threat and an opportunity to our operations. While in theory it can mean that companies can do their own recruiting for very little cost, we have found that it’s not such a black-and-white picture. There are still advantages to using an agency, and getting the word out about a vacancy is just a very small part of a successful recruitment process. Nevertheless, we see social media as a good thing for recruiters and job seekers alike. You may have noticed our growing social media presence recently as we get more comfortable with using it and are finding it to be a useful tool for reaching job seekers and broaden our many and varied candidate pools. It’s also a lot of fun! If you ‘do’ social media, then please come and say hello to us. We are on….. Please come and like us at 4LeisureRecruitment. On here we share all of our jobs, and news items you may find interesting. We also have a Job of the Week every Friday. Facebook is a great platform and there’s not many people who haven’t heard of it, or use it. By Facebook’s last figures, there are more adults on Facebook than not. Facebook is popular with all ages, and for many people is the only social network they use. It is sometimes a struggle because Facebook are trying to get companies to pay-to-play and are squeezing the filters even tighter. If you want to see all our posts, please come and visit our page regularly as it’s inevitable that you will miss some jobs and you never know, the one you miss might be the perfect job for you! If you’re interested specifically in Lifeguard or Spa jobs, we also have separate pages for these too. We post up the relevant jobs here as well as industry chat. We LOVE Twitter! Twitter has been the fastest growing social network over the last few years with around 135,000 new accounts created every day. There are over 2 billion active searches on Twitter worldwide daily. Twitter is a great way of reaching a younger audience. Those searching for entry level jobs are active on there, shunning the now uncool Facebook in favour of something faster and sharper. We post all our jobs up on Twitter automatically – as soon as the job is on our website, it’s also on Twitter. Twitter is very fast-moving and if you blink, you’ll miss a tweet or two, but the searchability makes Twitter a winner for us. You want a #job as a beauty therapist? Do the search and you’ll find lots, and some of them will be ours! We are on LinkedIn! Are you? We have a company page at 4Leisure Recruitment, and a discussion group at 4Leisure group. We find LinkedIn is a fantastic way of reaching out to those looking for a management or senior role, and for keeping up with industry developments with professionals who are not necessarily active on Facebook. This article from Recruitment Buzz discussed whether LinkedIn is the biggest threat to us as recruiters, but we certainly don’t think so. Sharing news of job vacancies is only one part of the process, and LinkedIn has given us just another way of sharing those vacancies. If anything, LinkedIn is helping us to reach you or your next brilliant employee. Using LinkedIn in tandem with more mass-market platforms such as Facebook allows us to reach employers and candidates all the way up and down the job ladder. We are also on Google +. Yes, it’s not mass-market yet and it’s still full of IT professionals and bloggers, but Google+ will be popular soon and we’re getting ahead of the curve! Google have invested a lot of time, money, and effort into making Google+ the ultimate social network and we have to admit that it’s pretty good. It has the best of all the social networks – you can have one-way relationships like Twitter, with the content-rich postings of Facebook. We love the AutoAwesome feature, and are looking forward to using it more. If you’re on Google+, please come and connect with us over there and we’ll muddle through together. And if you’re looking for a job using social media? Our advice to you is to do it! Use Twitter to search for vacancies, like Facebook pages of recruitment agencies operating in your industry, and get on LinkedIn. Make your profiles searchable and let people come and find you too. Project an online image which is desirable to employers, and get networking.